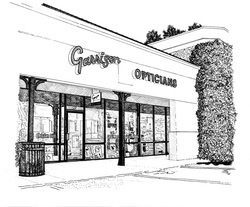 Since 1974 Garrison's has been outfitting their clientele with fashion forward eye wear to create "THAT GARRISON LOOK." The Garrison experience is focused on YOU. One to one service makes frame selection fun. With hundreds of designs to choose from, you will find eye wear that flatters you and fits your lifestyle. We offer honest feedback, a huge selection, and the best brands, all in an inviting, upbeat environment. We will help you select frames and lenses that are attractive and fit well. Simply bring in your prescription and we will guide you through selecting the luxury frames that you will love and lenses that provide the best vision personalized for your lifestyle. Greenville native Mignon Borchert is a ABO Certified Optician who will make sure that you get the corrective lenses you need. 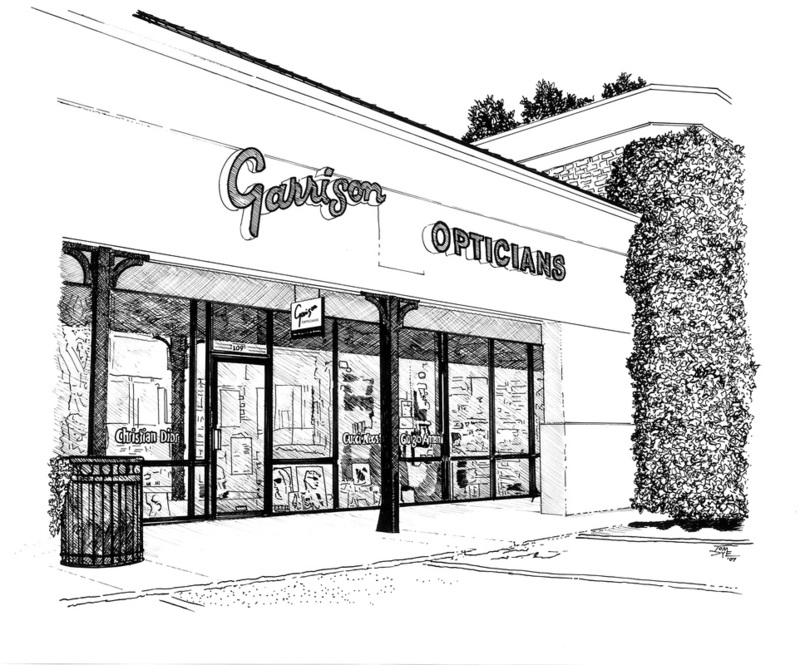 ​Because Garrison Opticians guarantees total customer satisfaction, you can be sure that you will look and see your best. Service after the sale and customer satisfaction are our top priorities. Because we are a privately owned and a proudly local business, customers are assured of 100% satisfaction when they purchase a pair of prescription eye wear or sunglasses from us! For that famous Garrison Look, you’ll find frames from Italy, France, England, Denmark and Germany including ic!berlin, Face A Face, lafont, ProDesign, Studio 3, Gotti, Henau, Anglo American, Fleye and more. We carry rimless styles from Austria’s Silhouette, and America’s Italee. Look for the quintessential American Designer Kate Spade. The California based Oliver Peoples offers retro styling infused with modern updates. For the cyclist and athlete, look to a wide selection from Rudy Project. From simple to sophisticated, sporty to elegant, our frame selections guarantee that you will be able to create the look you want, That Garrison Look. Here at Garrison's we have one focus and that focus is you. Whatever your eyewear needs, your satisfaction is our primary objective. Providing quality, service and fashion have been our core values since opening in 1974. We continue to practice those beliefs day in and day out, creating a pleasurable shopping experience and a loyal clientele. The Garrison's name remains the standard for unparalleled quality, service and fashion. We invite you to stop in and become a Garrison's customer. We look forward to seeing you.